As you age the size of your waist could become a contributing factor to health problems and your need for medication. A simple solution to improving everything is to burn that visceral body fat from around your waist. So much confusing and contradictory information about seemingly demanding or restrictive dietary practices may have you believing that you’re never going to regain full charge of your weight and health again. A simple starting point is to follow the 6 meals a day principle. Training yourself to eat 6 times a day for a few months will give your body a sign that you are introducing regular and healthful nutrition in a controlled manner. Your body will respond with thanks and appreciation. Your body will flip its internal fat burning switch and will reward you by giving you more energy and vitality. During the first week of this new routine you may feel a little unusual as your body questions your change of tactics, but in a matter of days you’ll feel great and wonder why you have not tried this before. Behind the scenes you will be stabilising blood sugar throughout the day, and supplying yourself with nutrients and energy to build a better future. Are you sure it will help ? There are millions of people on the planet who eat in different ways for health, weight loss, detoxification, therapeutic, religious or other reasons. It is possible to eat zero times a day, once a day, twice a day, three times a day, 4 times a day, 6 times a day, 8 times a day, etc.. There are basically no limits, and you don’t need to believe the hype in diet books that you have to eat only a certain way all the time. There is no one size fits all rule. You can also use various eating frequencies and quantities to your benefit to improve your weight and your health and gain better control over what you eat and how you eat. 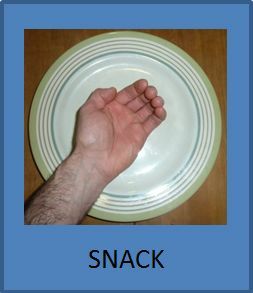 See below for the steps for learning the skill of eating 6 times a day. It can help you now, and it may help you in the future. Understand it as a tool to achieve an objective and not something you should do all the time and forever. 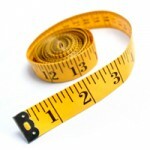 You will need a tailor’s tape measure. 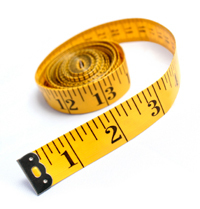 Simply measure the circumference of your waist at the height of your belly button. If it is greater than 38″ (96.5 cm) then you are at risk of health problems such as insulin resistance, hypertension, heart disease and more. You may require medication and that is a shame when you can lower doses or avoid medication just by modifying what you eat and when you eat. If you’ve not done it yet, then get a comprehensive health check. It’s cheap, harmless and will put you in the picture and give you additional motivation to make your parameters better. You are keen to lose weight and improve your health so you want to be consuming less calories than you expend. That’s logical. The trouble is that this is a two-edge sword. Consume too little food and your hormones will make it hard to burn fat and lose weight. Consume too many of the wrong foods and your body’s fat burning switch will stick in the STORE FAT position and your efforts will be thwarted. So let’s look at a smarter method to determine a rough amount of calories you need to consume to live and lose weight. The Harris-Benedict formula is widely accepted as a way of determining how many calories you need to maintain your current weight. Let’s face it though, you just want to lose weight and feel better. Why get so technical ? If you are eating according to the 6 meals a day principle you won’t go hungry and you will find it difficult to supply yourself with more than the typically recommended 2000 calories of food you need in order to eat less than you expend through your daily activities. Besides, if you’re going to make a go of this you are going to add a bit of extra walking or other activity into your life right now to burn more calories too. Note: What you eat and the quantity you eat is individual. Below is a simplified way of eating better for burning body fat and improving health. Note: Don’t worry about the numbers ! Although they appear to add an extra dimension of complexity right now, I’ll teach you how to know the numbers like the palm of your hand. It’s worth noting that the more you learn about the basic concepts the easier it will be for you to stick with it. I want you to understand that you can eat plenty of healthful food, feel satisfied, not be hungry, and still fit within the 2000 kCal guideline, so commonly recommended. It’s all in the food you choose. I absolutely promote real wholefood. Your body will work with any food, but to get the most health benefits and make this as easy as possible to manage without counting and worrying about if you are doing it exactly right is simply to eat food that is real. This means that you don’t eat any food from a PACKET, TIN or BOX where the content of the food is more complicated than one ingredient, i.e. may contain chemicals, additives, stabilisers, bulking agents, preservatives, colourings and other junk your body really wasn’t designed to deal with. This visual representation method works best for omnivorous types (meat eaters). For vegetarians and vegans another technique shall be discussed. If you are ever unsure about ball park figures for calories, or you hit a plateau which you think you can’t break through (impossible once you learn the smart little tricks), then you can always spend an hour learning how to use a tracking tool such as Fit Day. Once you’ve learned how to set it up and overcome the mental hurdle of using it for a week or a month in order to never have to use it again then you will make massive improvements in your weight and health goals. To get started with Fit Day see this post. I use Fit Day a lot to explain how easy you can make your life once you can visualise the numbers just by viewing the physical size of food. If you are not familiar with eating real food most of the time (i.e. you eat processed food for more than 20 % of the time) then the first step is bridging that challenge first. The secret to eating well is to have a flowing fountain of inspirational foods/meals/snack ideas that are healthy, quick to make or order, look good, taste good and fill you up. Fancy eating food you really enjoy, that keeps you satisfied, and helps you achieve and maintain great health? Once you learn how it’s really a no brainer. There are tons of tricks you can do with food to help you improve your health and take control of your weight. There is lots of good information on the Internet amongst an even greater quantity of trash. During the course of the program I will point out some of the most beneficial information. If you have any questions don’t hesitate to ask.